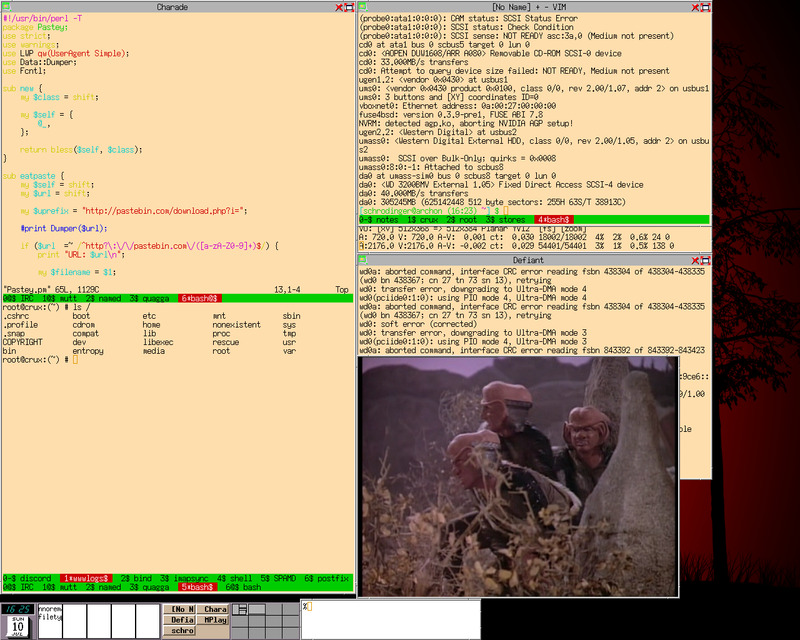 Show us screenshots of your FreeBSD desktop. It's a pretty plain KDE 3.5.8 desktop on FreeBSD 7.0, but I normally like to keep things simple and uncluttered yet functional. Wallpaper I got off KDE-Look some time ago, but I don't think it's there anymore. I did find it here. One of my other favorite wallpapers: here. Fitting right? Weather applet is Liquid Weather ++ available through the deskutils/superkaramba-lwp port. Yep. That's right. I feel most at home on the command line (with screen and vim). And yes, that is bash. I can't bring myself to get away from it. haha that's the best one yet! WARNING: Network stack Giant-free, but aio requires Giant. 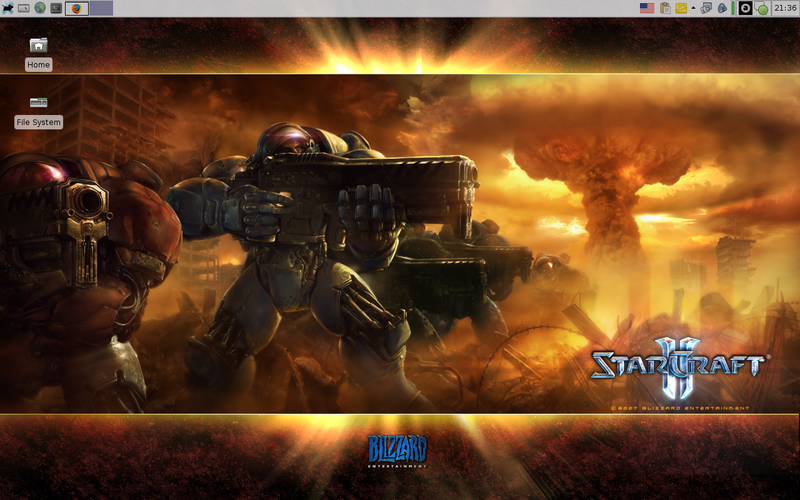 Here's my spartan desktop -- same I've had for a long time. Very nice. What dock bar are you using on the bottom of the screen? Last edited by harisman; 23rd May 2008 at 06:52 PM. where can i get that wallpaper? It is a Greek photographer-fun site, and there is a "Wallpapers" section in the menus. This is what is great about FreeBSD (and X11 in general)... we're all running similar operating systems but yet they all look and work differently depending on what we want them to look like and work. I was a huge fan of the BeOS interface! Xfwm comes with nice BeOS window decorations, plus aligning the panel to the right and using a pale, 3D GTK theme is a nice nostaliga trip. 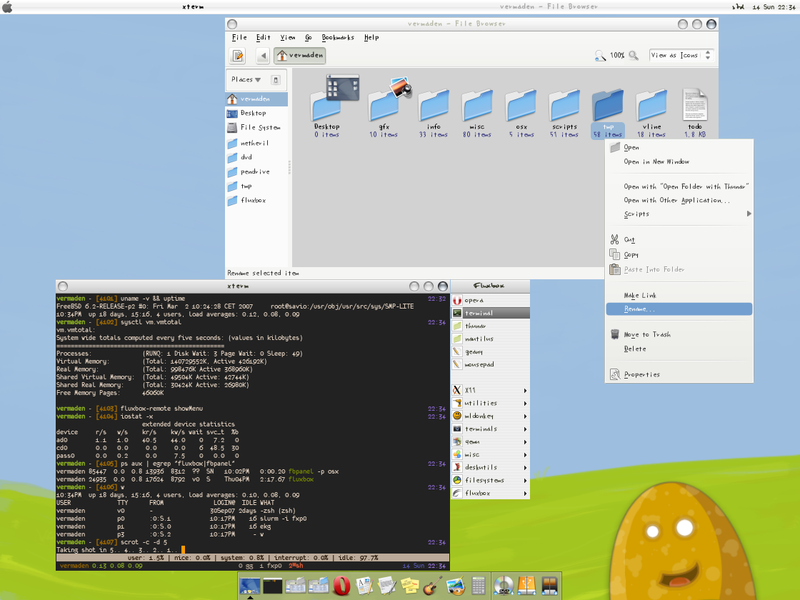 With Tango and mrxvt instead of some of the stock Xfce stuff though. I'm in the middle of everlasting quest of customizing xterm colors, I'm never happy with results!